Can you think of another sport where the coach(es) give the athletes in-game advice on mechanics just before and after the athlete conducts the skill? Basketball-NO, Hockey-No, Tennis-No, Football-NO, Golf-NO, Ping-Pong-NO. It is only baseball where coaches feel they have to assist the hitters by telling them what they have to do to fix their swing prior to and after each swing. 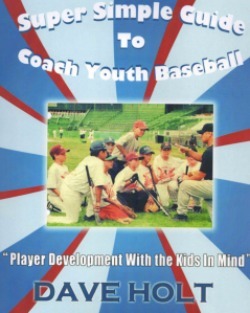 Why is in-game coaching while kids are in the batters box so popular and accepted in the lower levels of youth baseball and never done in the professional baseball level? ANSWER: Coaches cannot keep their big fat mouths shut—they feel they are not doing their jobs unless they are verbalizing coaching points. 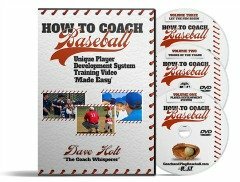 In the intent to help and assist (coach) kids, baseball coaches take the initiative to give a 10 second mini-coaching clinic and critique before and after each pitch especially when the batter swings and misses or hits a foul ball. And lookout if God forbid, a batter swings at a high pitch or low pitch out of the strike zone. In the coaches eyes you just committed the ultimate hitting sin. (Coaches-You think hitting the ball square is so easy lets see you try to hit the ball with a half dozen adults telling you how to do it). Listen during ballgames and you will likely hear coaching points like, “Hey, “you have to load sooner” “get your back elbow up now’ ‘step into it” “throw the hands at the ball” ‘pop those hips” “hit the top of the ball” “swing level”. And this is just the third base coach-wait until the first base coach and the bench coach get going. “Hey, “make it be there now” “don’t help em out” “be sure its a good one” “need a runner now (code for don’t swing — try to get a walk)” “I told you never to swing at that high pitch”. And, we will not even get into all the ‘hitting coaches’ in the bleachers that throw in their two cents. What Should Coaches Say? NOTHING! BACKFIRES: Unfortunately, all this ‘help’ from the adults backfires. Batters who are already trying to succeed at something that is really difficult, get a big dose of ‘Mind Clutter’. Now that they have been totally critiqued and mechanically corrected they have to decipher a half dozen or more things to remember going into the next pitch. Now we have created a batter with more confusion, tension, anxiety and pressure all in the cause of ‘helping’. Now we have an over-thinking, tentative, defensive minded hitter who is afraid to make a mistake because they will get instant dose of criticism immediately after the pitch (again)! 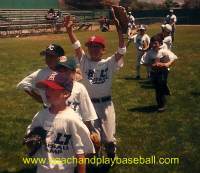 Do what the professional baseball coaches do—SAY NOTHING. If you have something to say to batters about hitting mechanics and adjustments do it between innings, after the game or at next practice-NEVER during the live competition in the batters box.